Congratulations to Tyler who is our first ever End Point Assessment learner to achieve their apprenticeship. 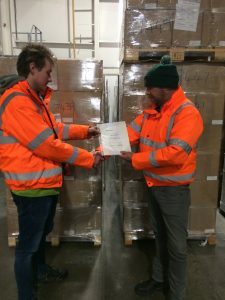 Tyler has completed an apprenticeship in Supply Chain Warehouse Operations at level 2 and has undergone training for knowledge and practical aspects of his award. This is a fantastic achievement for Tyler who works in the supply chain industry for a distribution organisation.